We've had some good days lately...exactly 17 to be exact! Well, we did have a miserable night a week ago and all day last Saturday, but my girl was sick (and wasn't technically having a "bad day"). It was rough, we all managed to pass around some sort of respiratory bug and it hit Reagan hard. Tons of thick green snot, yellow gunk running from her eyes, and nausea due to all of the drainage (and insisting on breathing through her nose didn't help). It was a rough 36hrs. She finally slept Saturday night and then woke up feeling much better on Sunday. Still sick, but not gagging and gasping for air anymore. She slept a lot Sunday and Monday and has had a pretty normal week since then (although still very congested). Wednesday we went to horseback riding and then to an opthalmology appt. We have a new opthalmologist since her previous one went on a leave of absence (all of her specialists seem to be leaving). It was a two hour appt but the doctor was in an out in less than 10min (with zero personality). She did say that Reagan's astigmatism may be making things a little fuzzy for her and we may want to try glasses again. So sounds like a new pair of frames are in her future. On Thursday we had the DME lady come out (who is also leaving), we ordered a new sling for her hoyer lift, a new bath chair, talked about getting the carseat changed out to the booster, and also discussed the new stroller we're going to be ordering. I feel like I've spent half my time lately following up about new equipment! We should be getting two new tomato chairs next week (in the next size up) and a stair lift should be coming sometime soon as well. Lots of things needing upgrading since Reagan's last growth spurt/weight gain. We also found out that our Wednesday/Thursday nurse will be leaving. Ugh. Don't get me started. The constant struggle with nursing. She's the hardest to replace because she not only worked more days for us than any of our other nurses, she worked a super late shift (so we'll probably be forced to replace her with two nurses)! Double ugh. Thursday night we noticed Reagan definitely had an increase in tone and movement. She's been super crunchy, rolly/squirmy ever since. Loving rolling onto her tummy, we're having to keep a close eye on her that she's not pulling her tube. Last night she was particularly hard to get to sleep, so I was a little worried about how she was going to be today. Thankfully she woke up smiling. She's ridiculously tense in her body, and has shown a little agitation here and there, but overall pretty smiley and sweet. Hoping we're not headed the wrong direction. While I've enjoyed all of these good days, there has been a constant concern as to when they might end. Ryan has now lost both front teeth so he's got that toothless grin going. We also made an adjustment to his ADHD medication and he's had two really good weeks in school ever since. Hoping everyone's good days continue!!! We made it! It wasn't the best of weather, a cool front was actually coming through as we were walking, but we made it to the UMDF Energy for Life Walkathon in Houston! Actually, Stacey, my best friend from high school, was finishing the 5k just as we were unloading! And she placed 2nd! Too bad she didn't finish 3rd to get the Reagan Guidry award (Reagan had an award named after her this year for being one of the top fundraisers last year)! Mike's sister Kristy also ran the 5k as well. All of Mike's sisters from the Houston area braved the bad weather and came out to support Reagan (we did take a team picture, but forgot to get one on our own camera)! Carolyn, our next door neighbor from before we moved, came as well! So good to see everyone! 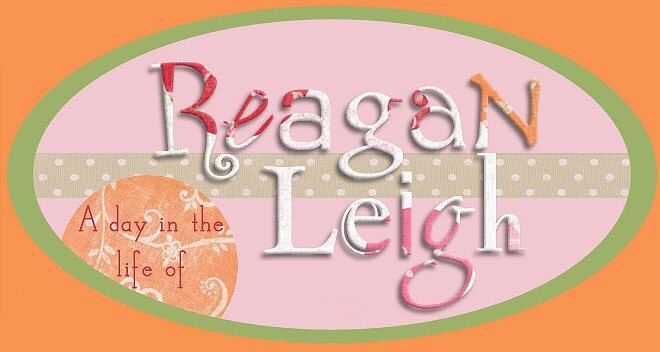 Thank God we had Reagan's rain/wind cover for her stroller, she was the only one that was dry by the end! Ryan took off running during the walk (apparently trying to "win the race") , thankfully one of his cousins managed to catch up with him because us adults could not. Afterward we went and had brunch at our old favorite breakfast spot (near the apartments we lived in when we first got married)! It was a long trek for a short walk, but we are still glad we made it. Both kids were well behaved for the ride and we're happy to be back home tonight! Today we were nurseless again. With 4 different nurses covering 5 days, there's always something! Thankfully Reagan was a doll today. She's been such a sweet heart. Super laid back and calm. Actually, maybe even a little too low tone. She's been having issues with choking on her spit today. She's also been pretty congested and runny nosed. Everyone seems to have a case of the sniffles lately. Not sure if we're getting something or if we're all just reacting to the ridiculous amount of florescent green oak pollen floating in the air. YUCK. I hooked her up to a drain not really expecting anything to come out and it's been almost a constant stream or air or fluid! Some of the fluid looks a little gunky/thick (maybe snot?). Poor girl. Hoping she feels better by the morning. We're set to leave here bright and early at 5am to head to Houston for the 2018 Energy for Life Houston walkathon! It's gonna be a crazy one. The high today in Austin was 83 degrees, it'll be in the 40s by morning. It actually looks like this front will follow us all of the way to Houston. We will be driving through it the whole way. I keep hoping maybe they’re off in their predictions and that it will speed up so we're not walking in the rain! Ugh. Not too thrilled about getting up that early to drive all that way, but REALLY not happy about the weather situation. What I am happy about is getting to see some of our Houston friends and family and eating breakfast at a place we used to go to nearly every weekend when we first got married! YUM. Hoping everyone is good tomorrow and we have a safe trip. Please keep us in your prayers. 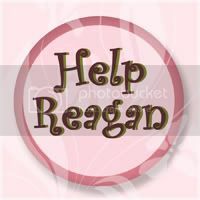 If you'd like to donate to the UMDF in Reagan's honor, please follow the link to our team Rallying for Reagan!